Sorry for not updating. It's been a while...many changes. 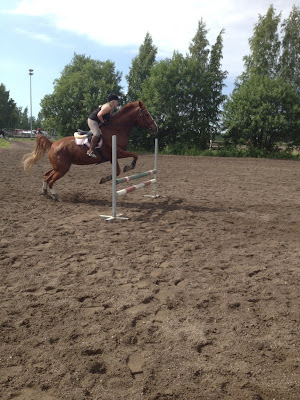 The biggest one being, my baby moved to a new stable, closer to me and one of the best stables in Helsinki-area. 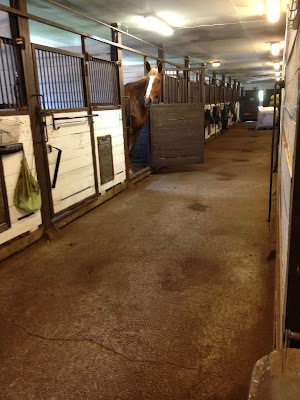 We have lots of space to ride, very good hay, great staff and nice other customers(horses&owners). Edels at the new stable! 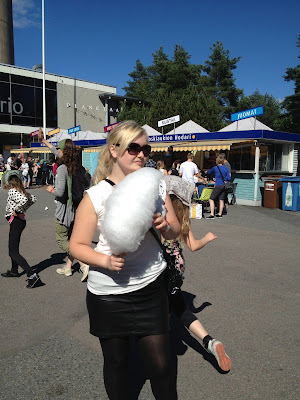 I don't have that much plans for the summer, mainly work, but I had the time to visit Tampere, went to see the dolphins and to shop riding equipment...a Sprenger KK-Ultra bit, two riding pants from Pikeur etc. Last Saturday we tried a little jumping, starting with this...not a real jump even xD But I was nervous at first. 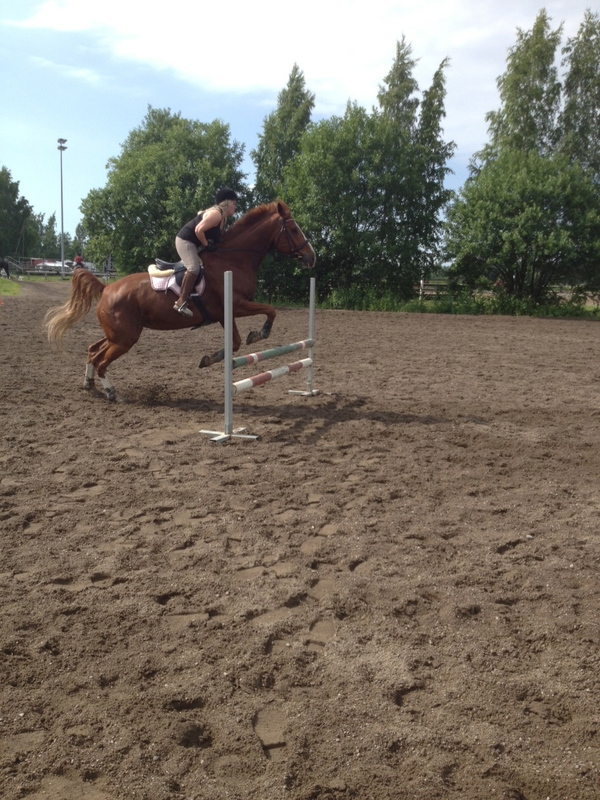 Then a little higher jumps. 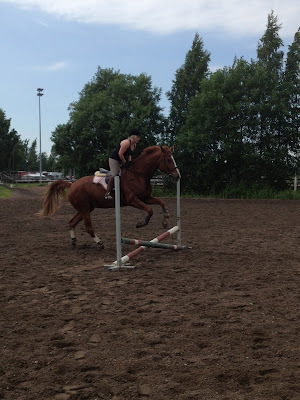 She loved to jump! Forget how hard it is to ride in a jumping saddle...Btw those are the new Pikeur pants, Cindy. 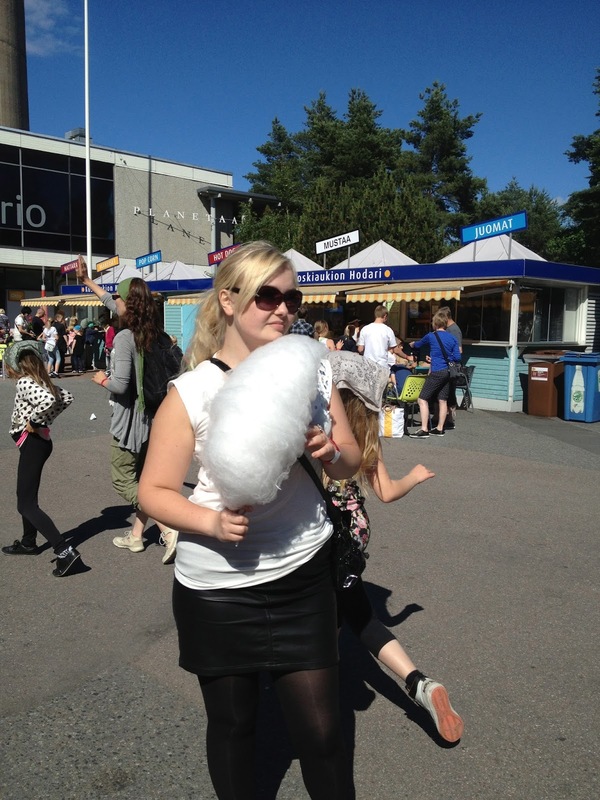 One size smaller than the same pants bought precis a year ago, black ones also Cindy by Pikeur.